Angel Home Care, Inc. is independently owned and operated. We have been meeting the home care needs of Long Islanders for more than 15 years. 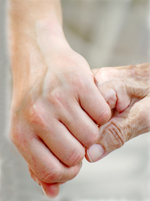 We hire compassionate Companions who treat our clients with the care, the respect and the dignity they deserve. Angel Home Care, Inc. is fully insured. Our Companions are covered under workers' compensation and disability. Each Companion is carefully screened. We perform criminal background checks, DMV checks, and require at least three character references. Each Companion is also personally interviewed. Our Companions are caring individuals who will connect with each client; they are not just "warm bodies" in a room. We do not engage in long-term contracts, thereby providing each client with the freedom to adjust his or her Companionship schedule as needs change. We understand our clients are individuals and we make it a priority to cater to the specific needs of each one.